Address : 14 Chalkokondili & 28th October str. 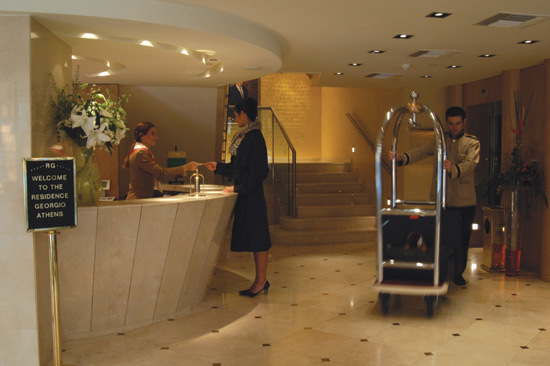 A Five Star hotel Athens with all the modern comforts, we ensure that your stay at this ancient city isn't without a moment's indulgence. A mélange of amenities including high tech functionality, relaxed luxury and inspiring design in fabrics and fittings are shared amongst all room types. 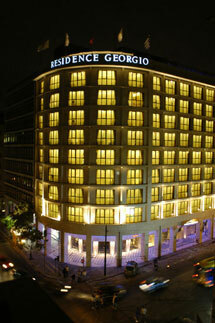 The Residence Georgio offers some of the finest hotel banquet rooms Athens has to offer. 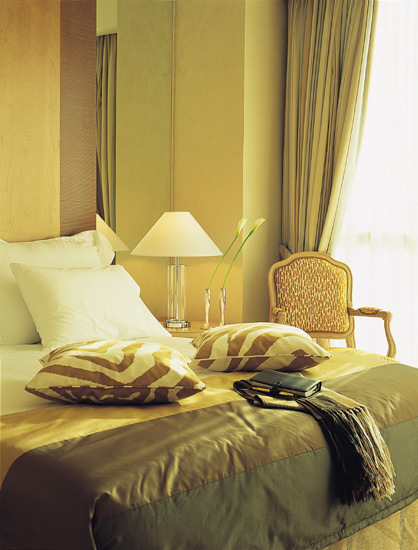 Choose from our 126 Luxury Hotel rooms (twin, double or family rooms), or our 10 Executive Suites. 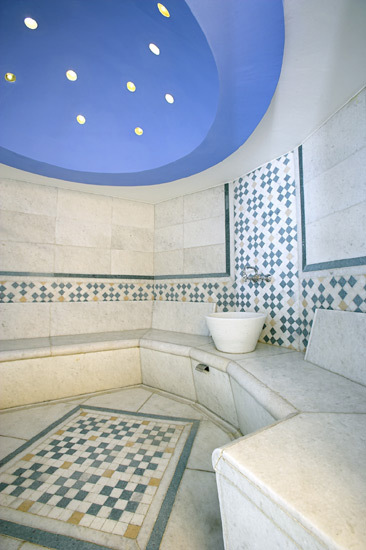 In most bathrooms our guests can relax with a whirlpool Jacuzzi and individually-controlled lighting which creates a relaxing atmosphere so that you can unwind in the comfort of your own lavishness. Slip into one of our complimentary bathrobes and slippers and let the pampering begin! 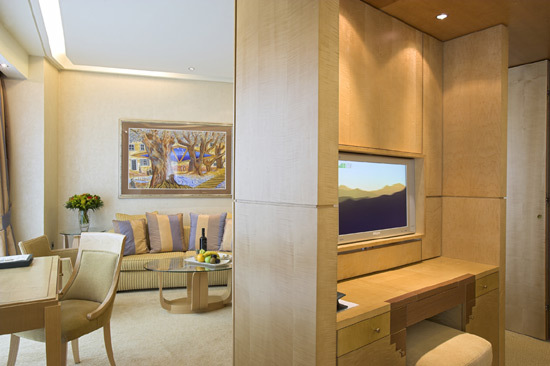 For a little more space to unwind, book an Executive Suite. Space to move about, space to stretch out and space to relax. We know how refreshing that can be. 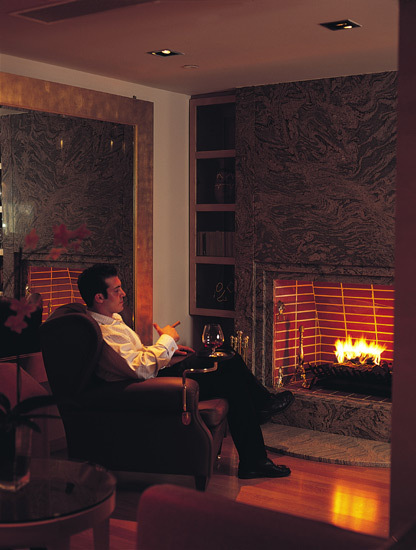 Choose from one of our divine suites and experience what the true meaning of rest and relaxation is. 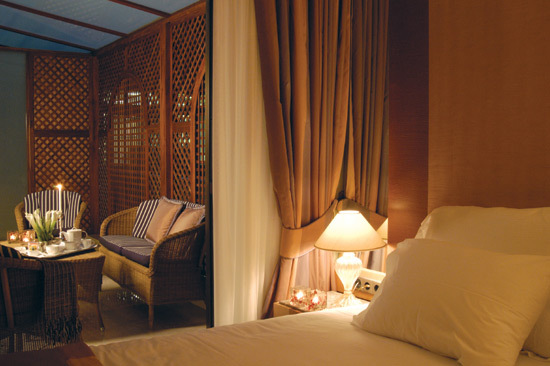 Deluxe Room: Enjoy the elegant décor made of sycamore wood and comfortable fittings. 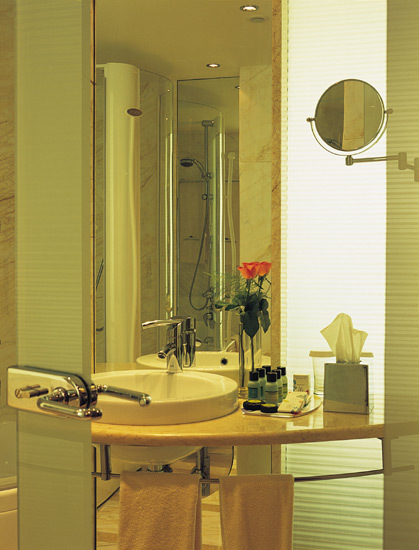 Marbled bathrooms with Jacuzzi, jet massage cabin, bathrobes, slippers and fine amenities. 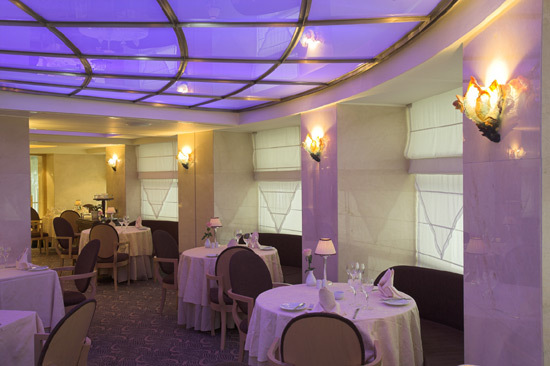 Executive Suite Athens : Enjoy the extra space and beautiful décor, the marbled bathrooms with Jacuzzi and separate shower cabin, bathrobes and slippers. 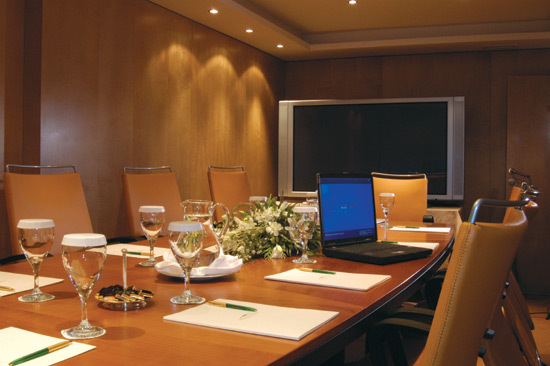 Our Executive Suite Athens includes 30 inch rotating plasma television. 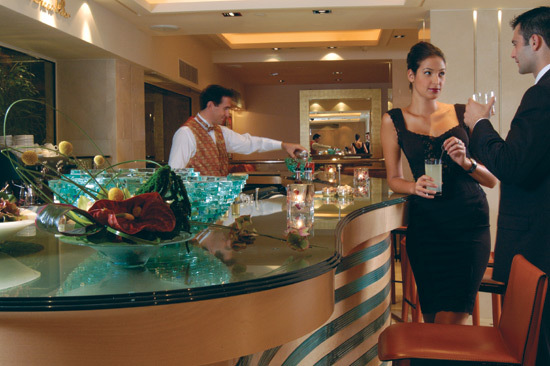 Come see why we've earned our stars as one of the best business hotels athens has to offer. 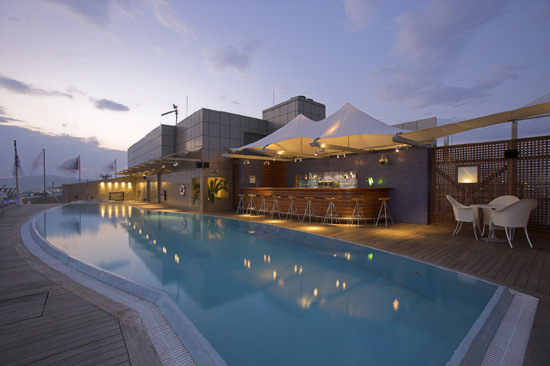 A business center, swimming pool, health club and many more – we've got it all. 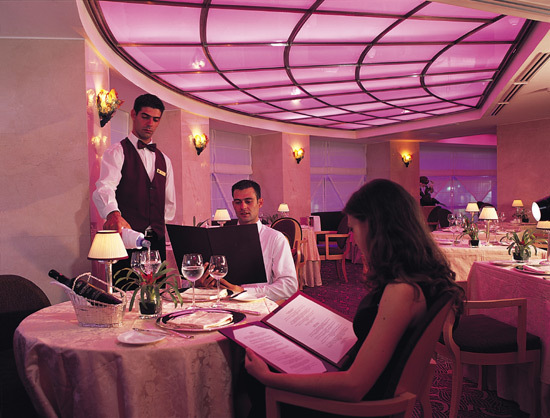 Our aim is to fulfill all your needs. Here on business? 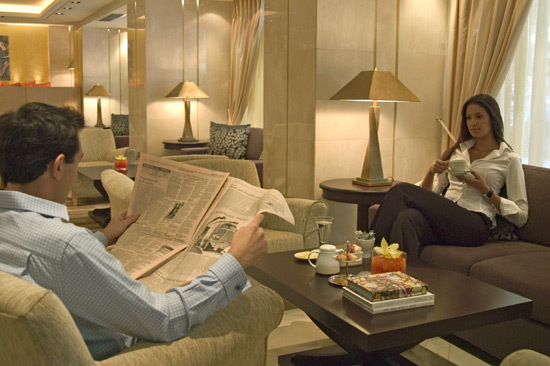 The hotel's business center and secretarial services are ideal to compliment the expectations of the business traveler. Need a little more pampering? 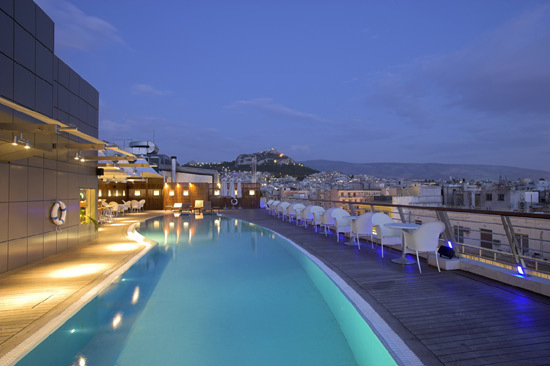 Enjoy a fabulous massage at the RG Health Club and splash into our 20 meter pool – the biggest on a roof top in Athens - while admiring the breathtaking view (Pool open until 18:00hrs, May to October and subject to weather conditions). 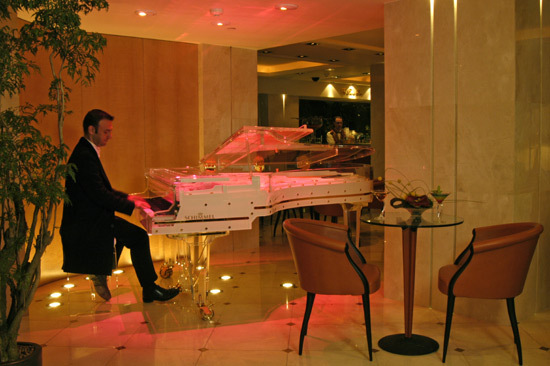 If you are familiar with MELIA ATHENS (RESIDENCE GEORGIO), please share your opinion of it with other travelers. Write a review!